Alliant Power and Pure PowerTechnologies have come together to produce this co-branded remanufactured fuel injector that is built to exceed OE specifications. 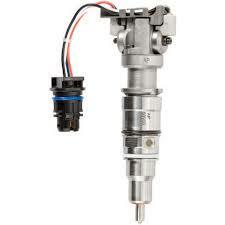 If you’re looking for OEM quality without the OEM price tag, this is the injector that you’re looking for. This remanufactured injector provides stock horsepower with a one year, unlimited mileage Peace of Mind Warranty. Note: These “Late” injectors fit engines built AFTER 9/22/2003.